How Insect Based Protein Production Is Helping Our Marine Life – AgriProtein. Home » Amanzi Articles » How Insect Based Protein Production Is Helping Our Marine Life – AgriProtein. After almost a decade of research and development, AgriProtein has laid the foundations to change the way we see both waste and protein. Let’s look at the ways, this seemingly unrelated industry is working towards saving us, and our marine life. “It takes a minimum of 1.5kg of fishmeal to make 1kg of farmed fish, a scandalous plundering of the ocean’s limited resources that threatens the entire marine ecosystem.” says Paul Vantomme, United Nations Food & Agriculture Organisation. Ever heard of Robert Swan? Him, his son Barney and a team of explorers, headed for the Shell-sponsored South Pole adventure with a point in mind to prove: completing the trip making use of only renewable energy. Part of his essentials was MagOil, ‘ a high-energy oil derived from soldier fly larvae’. 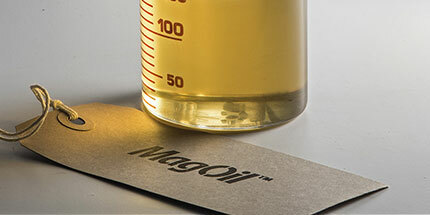 At minus 35 degrees Celsius this super oil was found most useful – Swan reported that he used MagOil to survive. Since then, the innovative company has entered the Global Cleantech Top 100 for 2017, 2018, and 2019. 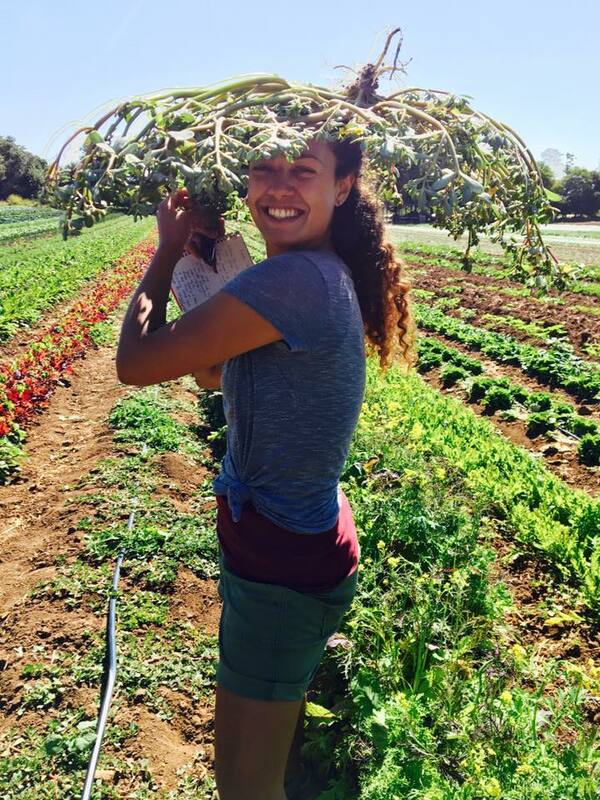 Amanzi spoke to one of AgriProtein’s youngest researchers, Zoe Brownstone. AgroProtein’s Researcher – Zoe Brownstone. Can you tell me about yourself and your interest in marine life? Growing up along the coast and being encouraged by my parents to have an interest in the natural world was a big reason why I studied Marine Biology. I started studying Ecology and Evolution at UCT and in my third year, I decided to take an elective course in Marine Biology. My lecturer Colin Attwood was incredibly passionate and inspiring, so he prompted me to change my major to Marine Bio. The company you work for is deemed one of the most innovative of the year – can you explain why? TIME magazine listed us (AgriProtein) as one of the Top 50 Genius Companies of 2018 (link here: http://time.com/collection/genius-companies-2018). Our motto is “Repairing the Future” and for good reason – we breed insects as a protein alternative and supermarket food waste to do so. We are tackling two imperative environmental issues – over-fishing and irresponsible waste management. 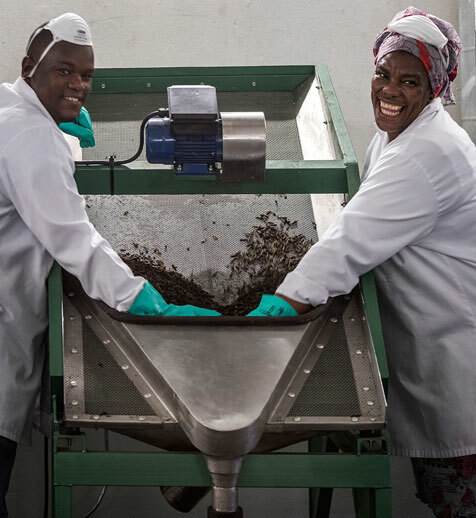 Conventional fish farms feed their fish wild caught fish from the ocean; this process is highly unsustainable as the wild fish are of high enough quality for human consumption but instead, we are grinding them up and making them into pellets to feed to our farmed fish. This is partly why farmed salmon industry has such a bad reputation. We are creating an alternative to this wild caught protein by farming insects with plenty of amino acids and fats to supplement their diets. Our main target market is the fish farming industry but we are hoping to sell to chicken and poultry farms in the future too. Insects may seem to have nothing to do with water, but everything in the eco-system is interlinked. Can you walk me through all the ways your company’s product helps with water consumption? I wouldn’t say that our processes impact the water situation as directly but as you say, there are indirect effects on ecosystem health with regards to water contamination and water use. Because our insects are fed post-consumer waste from supermarkets, less organic waste is being added into our landfills. As it goes with landfills, a big issue is the groundwater contamination that occurs when landfill waste leaks into the soil surrounding the landfill site – this contaminated fluid is called leachate. So by feeding out larvae organic waste, less organics are being added into landfills and less groundwater contamination via leachate occurs consequently. We are helping to preserve the purity of our groundwater resources. Furthermore, our insect protein can be used to replace soybean meal, which is notorious for using massive amount of water for production. Coming from an academic paradigm, what do you think\ know the academic world is doing in preparation for the world-wide upcoming drought? I am not very associated with the academic side of water-related issues but it seems as though there is more funding being put into research pertaining to water purification processes. AgriProtein is a company that as South Africans we are extremely proud of. For more information and contact details go on https://agriprotein.com/. For more Marine Conservation Articles check out our article about Marine Diversity Victory in South Africa. Want to share some news yourself? Contact us at info@amanzimag.co.za .